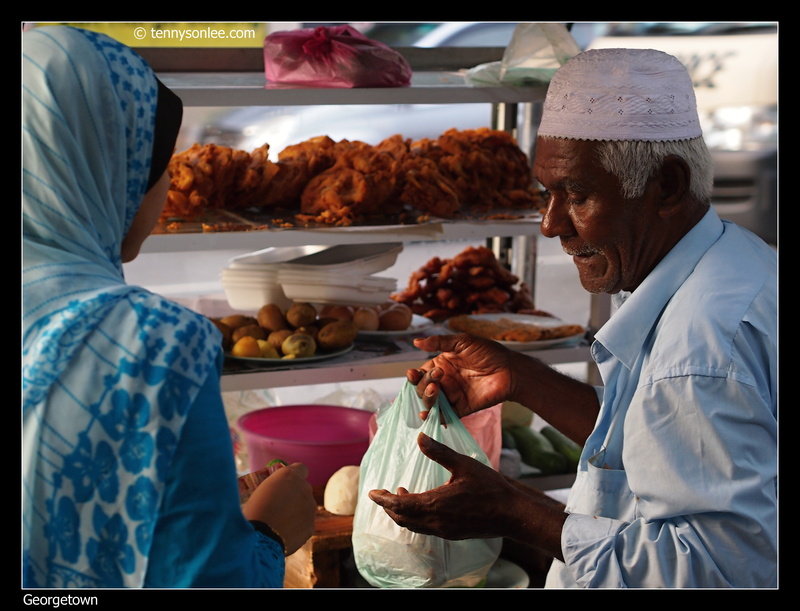 The best way to try Malaysian street food is of course, eat on the street. The Teochew Ais Kacang and Cendul store at Lebuh Keng Kwee (turn in from Jalan Penang) is one of the best in town. I liked their cendol, and the best way to taste cendol is enjoy it on the spot. Don’t take away as it will lost the ‘street flavour’. 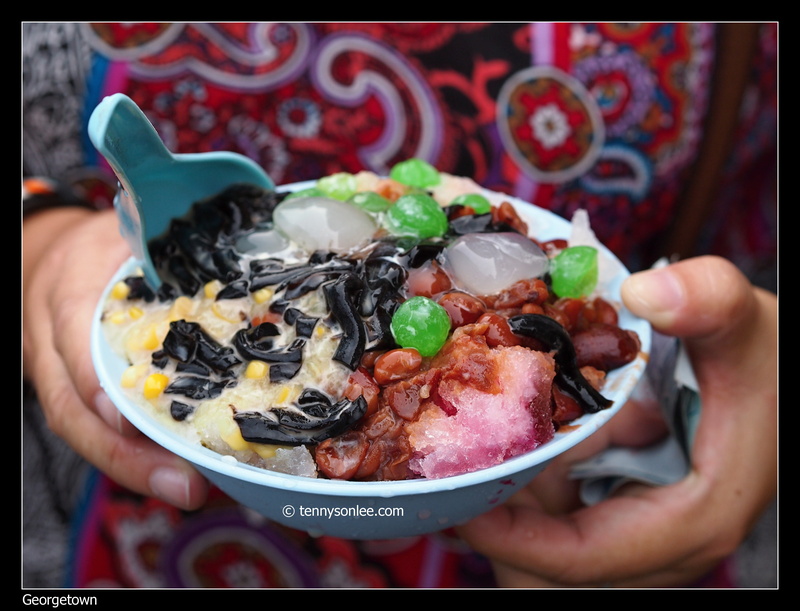 My wife was holding a bowl of ais kacang after the long queue. note: there is a competing store with very similar signboard and cart, but less visitors. So you could tell which one is the original one by looking at the queue. There are a few eateries along Lebuh Keng Kwee. 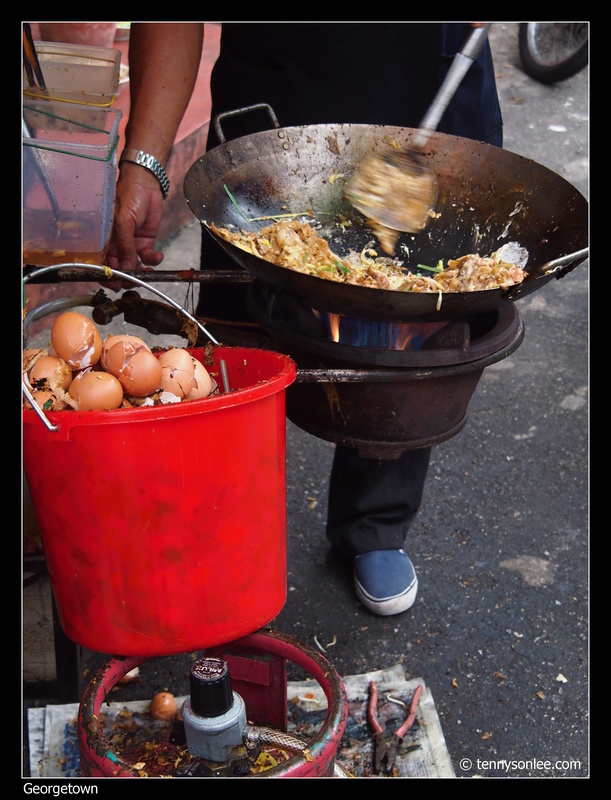 The following picture was taken from the mobile store named “left handed Char Kway Teow”. I am not sure if left handed stir fried flat-rice-noodle would taste better. We ordered 2 plates of Char Kway Teow from this store, and it tasted ok. It was a street food heaven at the alleys along Jalan Penang. It was a good idea to order small portion so that you could reserve some room in your stomach for the food quest. The famous lamb satay is located on Jalan Tamil. 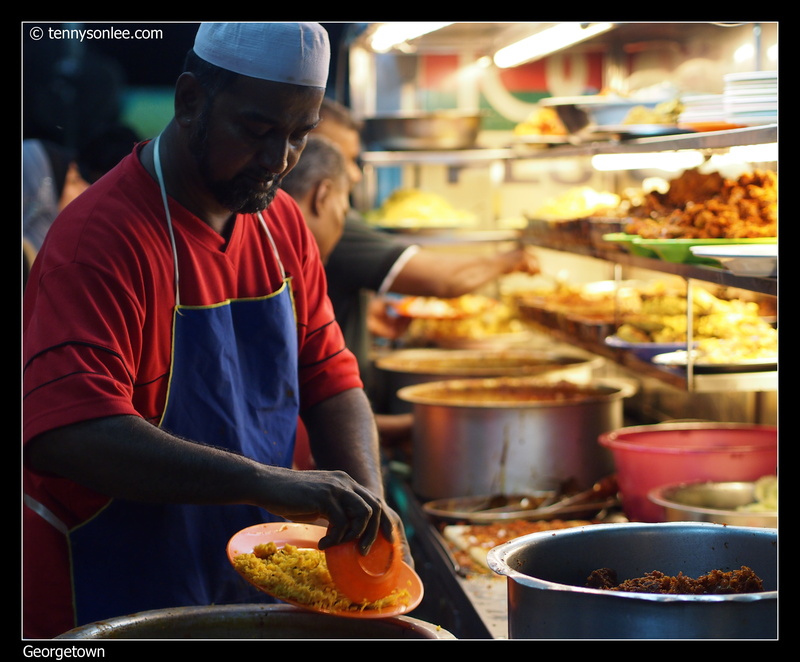 If you like nasi kandar or Southern Indian food, the one popular ‘queue’ is Line Clear and nearby Kassim. 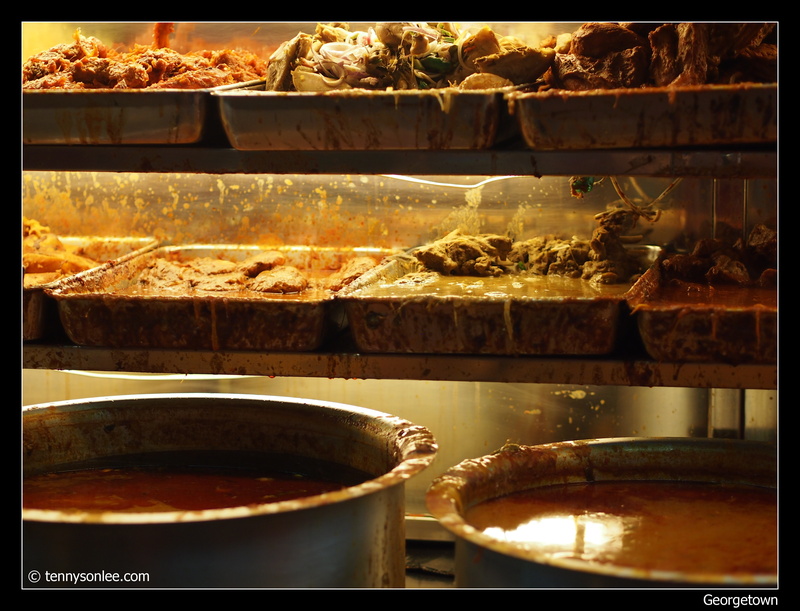 The famous dishes in the Indian outlets will be Nasi Kandar or Nasi Bryani. The queue line was seldomly clear for the past 30-40 years. Even if it rains, people are still queueing up with umbrella. I guess the queue was contributed by curiosity. Many tourists saw the long queue and joined the line up. 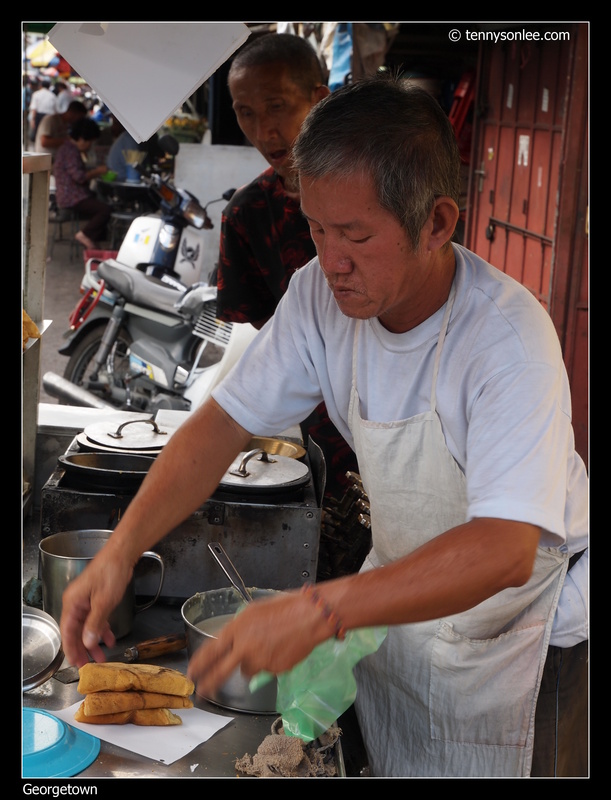 While we were lining up in the narrow alley (all the way to the main road – Jalan Penang), we could see the condition how the food was prepared. Cups being rinsed with running tap water without detergent; rice being cooked next to the garbage bin; big wok of dark color oil for frying meat. 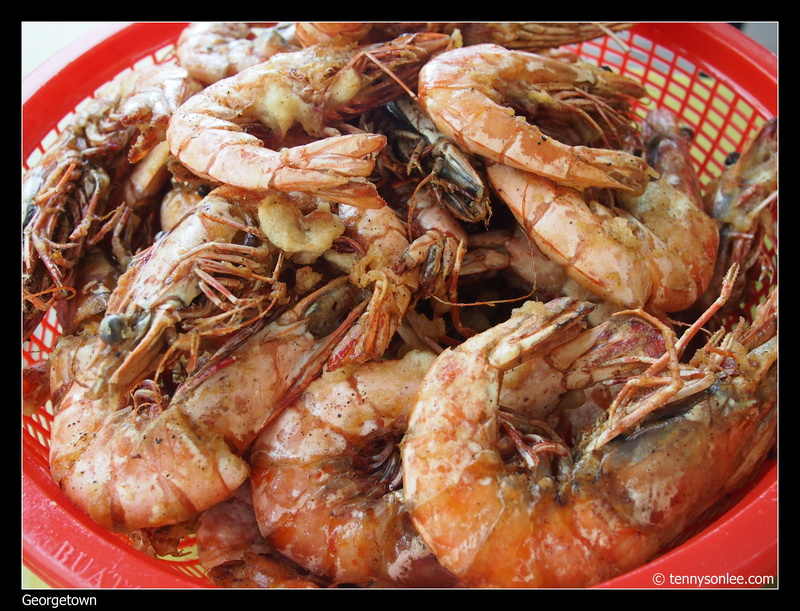 In Malaysia, the myth is that street food cannot not be too ‘hygeine’ for it to taste great. I am not sure how true is that by it sure kill our appetite. When we tried the Nasi Kandar, the rice was really fragrant and tasted good (but not so great that I would queue again). 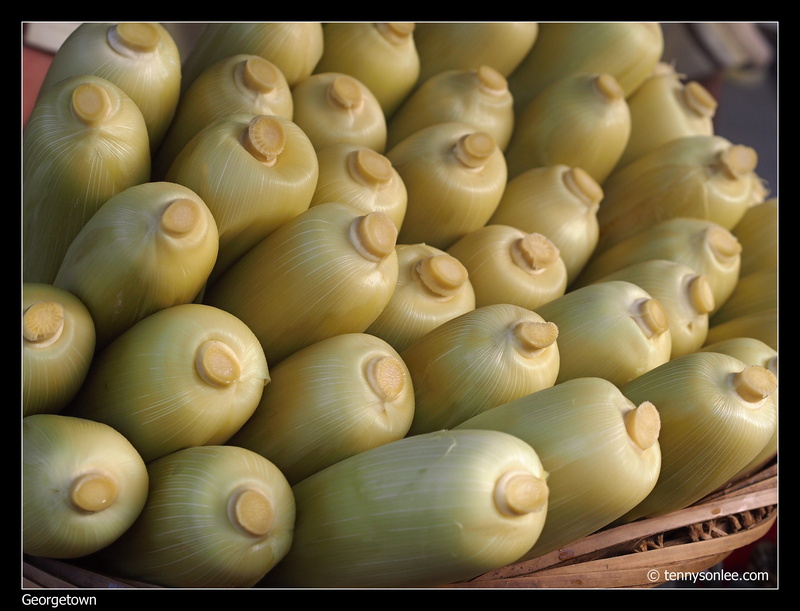 If you visit Chowrasta Market in the morning, there were plenty of street food too. 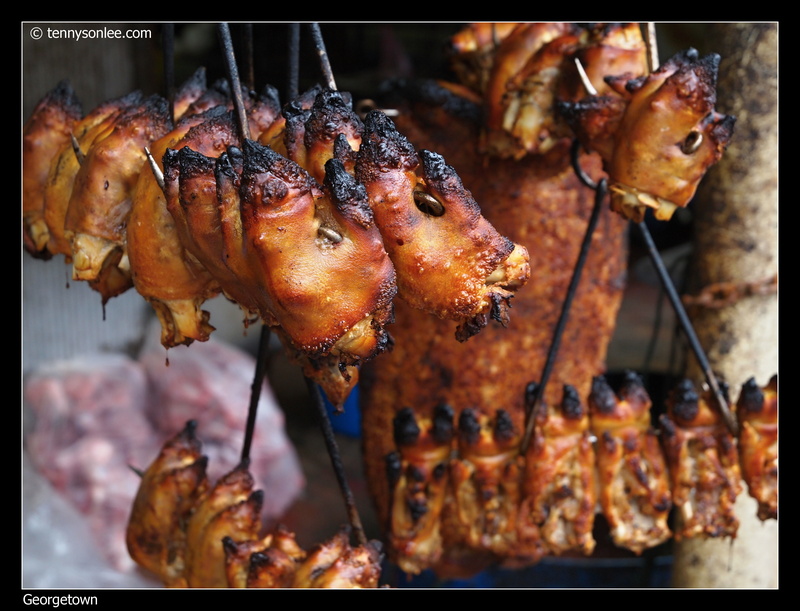 The picture below were the grilled pig feets. To many Chinese, anything with its back facing the sky would be edible. If you like supper, then visit Jalan Chulia and tried the curry mee. We have no luck as the famous curry mee store closed on Sunday and Monday, so we have to go for the ‘second best’ noodle stores – Wanton Mee. The wanton mee was average, could be due to the large crowd (we were likely to be table #10 waited for more than 30 minutes). I will visit the curry mee on Chulia street again on my next visit to Penang. One thing that I noticed was the price of the fresh fruit juice in Penang was much cheaper than those sold in Kuala Lumpur. 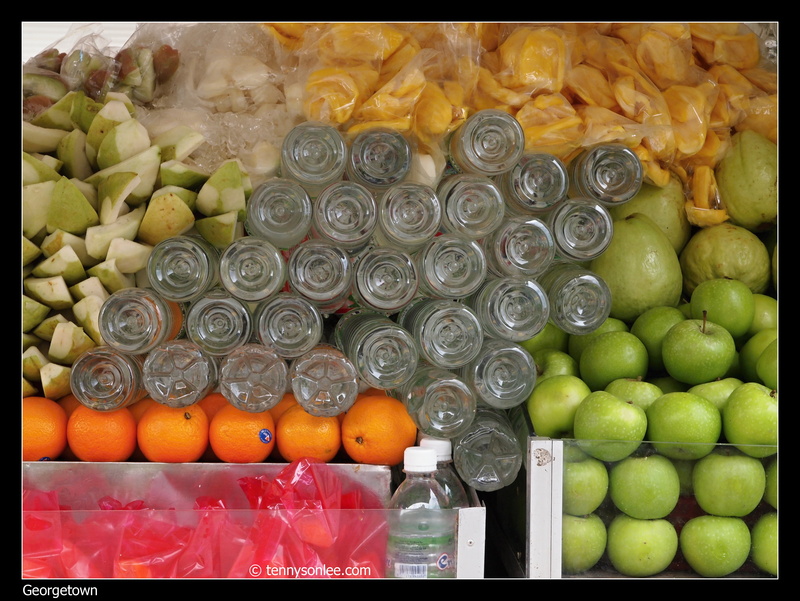 Fresh orange juice was RM1.50, and sliced fruits was RM1.00 per piece or packet. 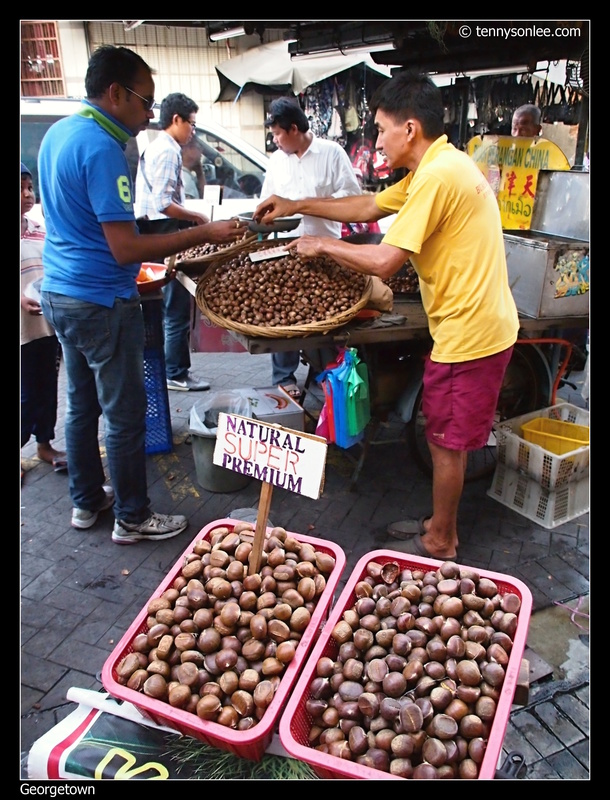 When I saw these fruits being sold at RM0.20 per piece, it made me wonder what I really drank last night. 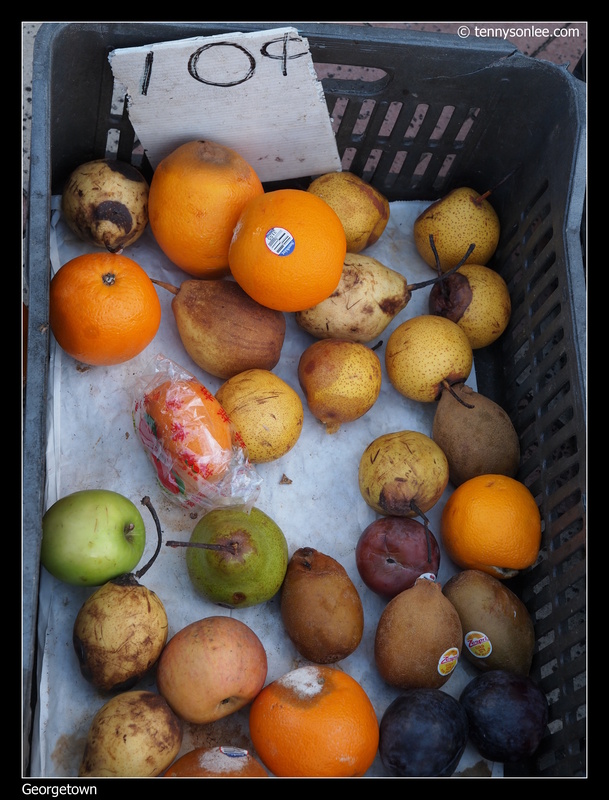 If you like ‘cheap’ fruit and care-less about your life, then next store was selling at even cheaper rate. So you better watch out the condition of the fresh fruit juice that you have on the street. 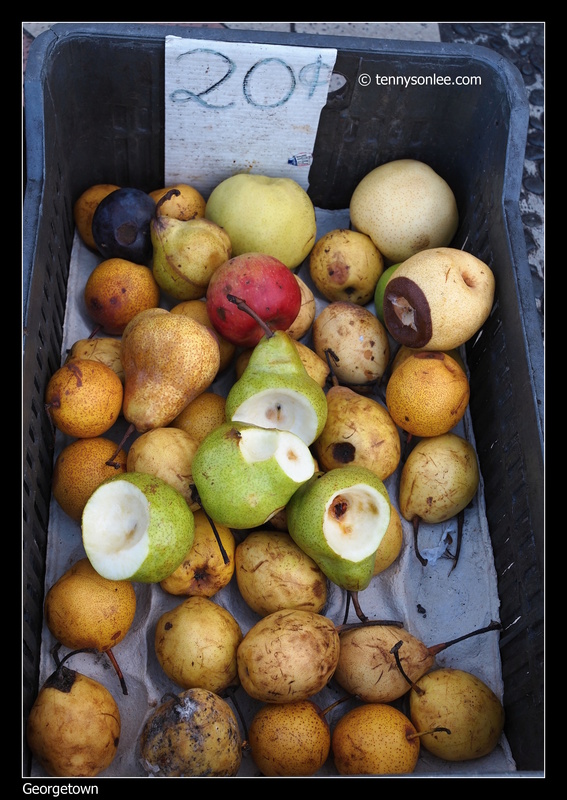 I believe most stores offer juice for ‘good’ condition fruits. 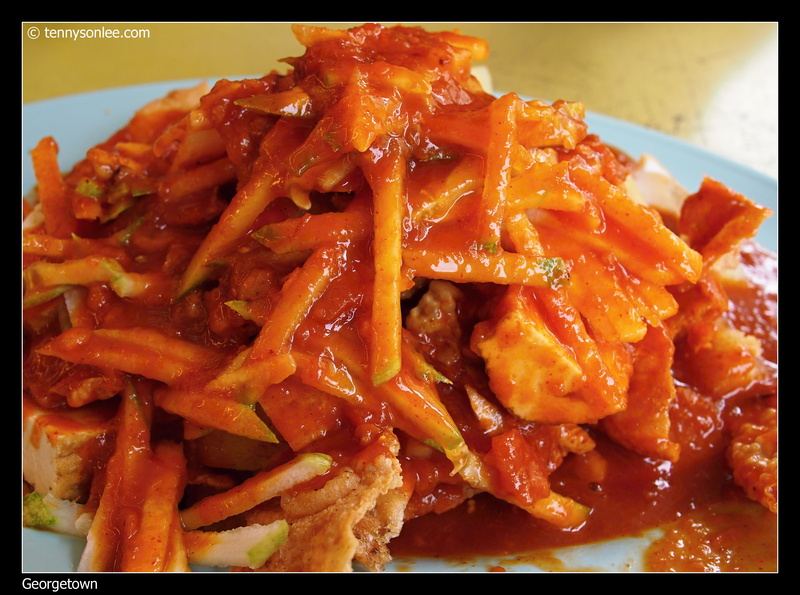 We walked to the beach front at Jalan Padang Kota Lama to try the pasembur rojak at Hussain. The sauce for pasembur was different as compared to that in rojak mee. Many outlets offered the same dish (pasembur) and stacked the food in front of the stores. The popoular ingredients were fried fish ball, hot dogs, beancurd, seafoods etc. This entry was posted on December 4, 2011 by Tennyson. 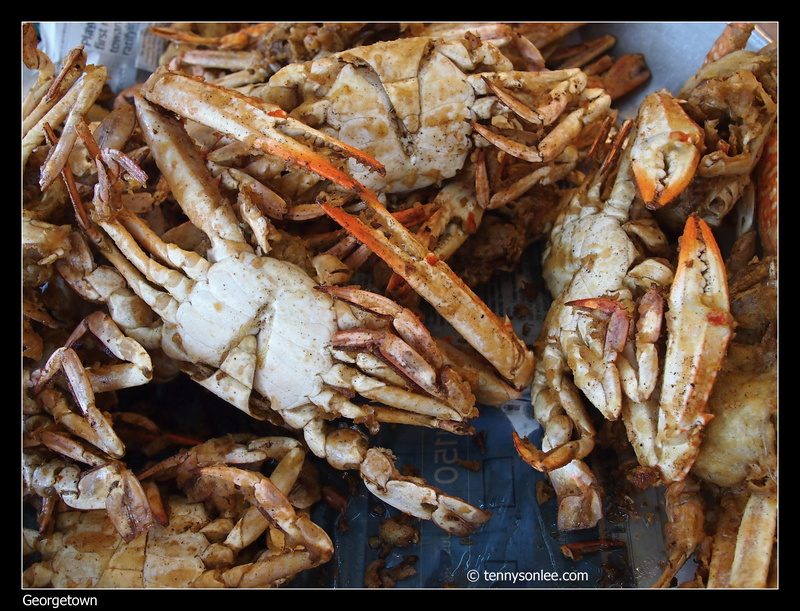 It was filed under Food, Malaysia, Penang, Places .